Chennai: Defending champion Chennai Super Kings (CSK), with an impressive record, start as odds on favourite when they take on Royal Challengers Bangalore (RCB) in the inaugural match of the Indian Premier League (IPL) T-20 cricket tournament here tomorrow. A full house was expected as two leading stars of Indian cricket M S Dhoni and Virat Kohli would be leading the CSK and RCB respectively, promising a high octane contest. RCB would be facing an uphill as CSK, which despite having a majority of players in the age group of 35 and above, were invincible at home and have proved last year that age was only mere numbers, by winning the title for a record third time. 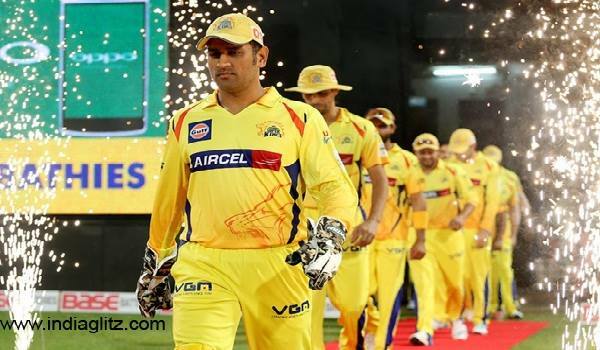 CSK, which has won 15 of the 23 matches against RCB (seven lost and one no result) has a very balanced side, with captain Cool Dhoni offering the depth, along with veterans like Aussie Shane Watson, West Indian Dwyne Bravo, Faf Du Plessis, Ambati Rayudu, Kedar Jadhav and the seasoned south paw Suresh Raina, besides Ravindra Jadeja, Harbhajan Singh and Imran Tahir and not to forget local star Murali Vijay who was keen to fire at the top of the order. RCB on the other hand would be keen to start off with a win with Virat Kohli, who was in rivetting form, would once again be leading from the front and has the likes of AB De Villiers, seasoned Parthiv Patel, its best wrist spinner Yuzvendra Chahal and big hitters like Marcus Stoinis, Shimron Hetkeyer, Natha Coulter-Nile, all rounder/offie Washington Sundar, among others. K M Asif, David Willey, Deepak Chahar, N Jagadeesan.